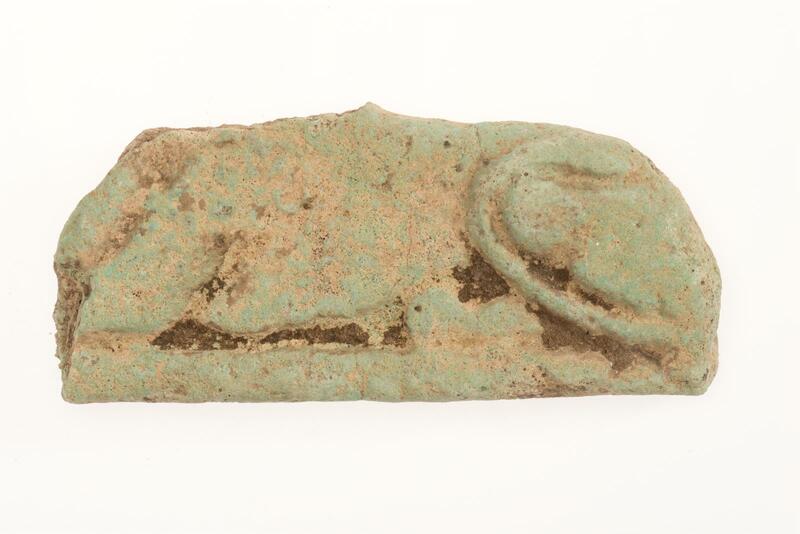 One of five fragments, blue faience. Fragment of a tile, white bodied, faded blue, part of a lion in low relief. From Nubia (Sudan) Gebel Barkal B700. Excavated by the Harvard University-Museum of Fine Arts Expedition; assigned to the MFA by the government of the Sudan.